Follow the curse of the ring through time! Six of the top authors in their genres bring you this powerhouse collection based upon the common thread of a cursed ring, passed down through the female line descended from Theodosia herself. Only a woman may bear the burden of the ring said to curse she who wears it. When the owner of the ring finds love, the stone remains crimson and assures her life-long happiness. But if she does not find love by her twenty-fifth birthday, the ring will turn dark and she will be forever cursed with loneliness. I pre-ordered this 28 April, can’t wait to start the read. I did, too, April 29th!!!! Because of new laws, you must sign up for the newsletter yourself…this is to protect people from getting spam. 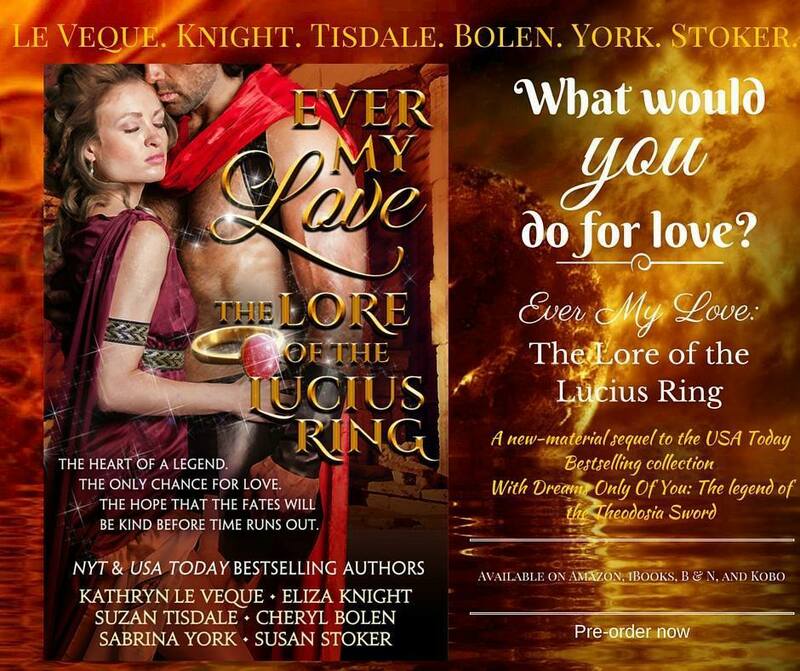 Pre-ordered book 2 Ever my Love through Amazon. Sounds like a good series. I’m going to start with the first one.